It’s true that computer viruses and other types of malware are getting more and more sophisticated by each passing day, but the underlying techniques that hackers use to spread them have remained pretty much the same over the years. Contrary to popular belief among the older generation, computer viruses don’t lurk around the internet looking for ways to force their way into your machine. Nope. The vast majority of computers that have a malware infection have been in fact doomed by the actions of their unsuspecting owners themselves. It’s very common for a user to get tricked into installing the virus onto their system willingly without realizing what’s really going on. An example of this would be when you open an email attachment that looks and feels a lot like your regular utility bill when in fact it’s a malicious computer program in disguise. Open it, and your machine will get infected. While there are numerous safe malware removal tools available on the internet, preventing malware from entering your system in the first place requires only a few changes to your old internet habits. One of the worst mistakes you can make is to open an email attachment from an unknown sender. As a rule of thumb, no matter what they tell you, you shouldn’t open an attachment unless you are expecting them to send you a file. Another fact worth mentioning is that anyone can pretend to be someone else on the internet so even if your own mother appears to be sending you a file, you should still proceed with caution. If possible, delete the email before you even read it. It also helps to use Gmail because Google is pretty good at weeding out malicious mail. If you bought your computer from a reputable source, chances are that your Windows license is valid as well. Make sure to always update your operating system whenever new updates become available. You can double check whether your system is up to date right now by going to your Control Panel and clicking on Windows Update. By allowing Windows to update itself you are essentially making sure that all of the known security holes and vulnerabilities are getting patched up. Of course not every single update is a security patch, but it’s always nice to sit behind computer that’s up to date. Since we use the internet all day now, it’s also wise to update your internet browser (hint: Google Chrome) whenever new updates become available. Unlike many, you shouldn’t really postpone an update. While you’re at it, check whether your Adobe reader is up to date as well. If you’re a gamer like me, you have probably downloaded a game or two through a file sharing program. It’s definitely not a good idea because most of them come combined with some sort of a malware. It doesn’t have to be an evil virus or a trojan horse, it can be something a lot less dangerous. For example hackers may turn your high end machine into a Bitcoin mining zombie without you even knowing about it. Because we now have things like Steam keys, the games don’t cost nearly as much as they used to. Why not support the developers of your favorite games and just buy it? You will benefit from a clean install as well as various fixes and patches that may get deployed at a later date not to mention all of the achievements that can be unlocked! 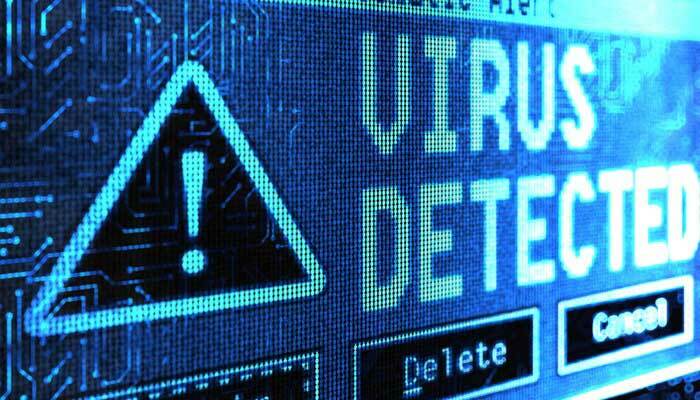 Most viruses come as an executable file. You should look out for file extensions that end in: EXE, COM, BAT, APK, BIN, MSI, etc. For a full list check out this article. Note: The thing with fresh Windows installs is that the file extensions are hidden by default and you should definitely not trust the icon alone because it can be changed easily. In order to see the file extensions proceed to your Windows Control Panel, click on Folder Options, open the View tab and uncheck “Hide extension for known file types”. First of all you shouldn’t download and install everything you see. Second, you should prefer open source software because they are basically “naked” in the eyes of developers and therefore it’s highly unlikely that these types of programs come with malicious code. Good places to download these programs are SourceForge and Github. You should also download and install the free version of Comodo Firewall which is a great tool for detecting potentially unwanted applications. The notifications may get a little annoying for a more experienced user, but it definitely provides safety and security for most people.